Archaeologists from the Decentralized Department of Culture of Cuzco, Peru, have unearthed the first human remains ever discovered from the pre-Incan Marcavalle culture which flourished in the area around 1000 B.C., the first known human settlement in the Cuzco Valley. 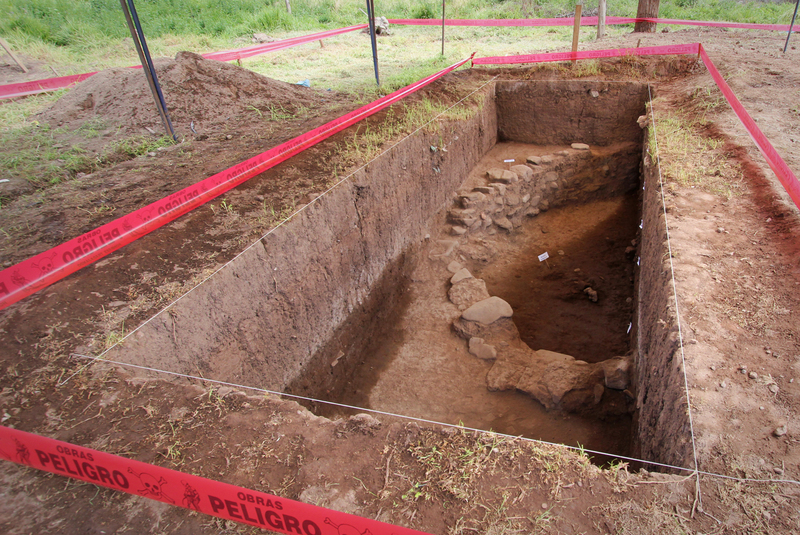 Digging on the grounds of the Juvenile Rehabilitation Center of Marcavalle 20 minutes south of downtown Cuzco by agreement with the Superior Court of Justice, excavators found three burial areas containing the skeletal remains of five people. Two adults were buried together in one grave along an east-west axis. Adjacent to them was the grave of an infant. Nearby two adolescents were buried with their lower legs bent and placed side by side. Interred along with the human remains were artifacts characteristic of Marcavalle culture. The people were buried wearing bead necklaces around their necks and arms. 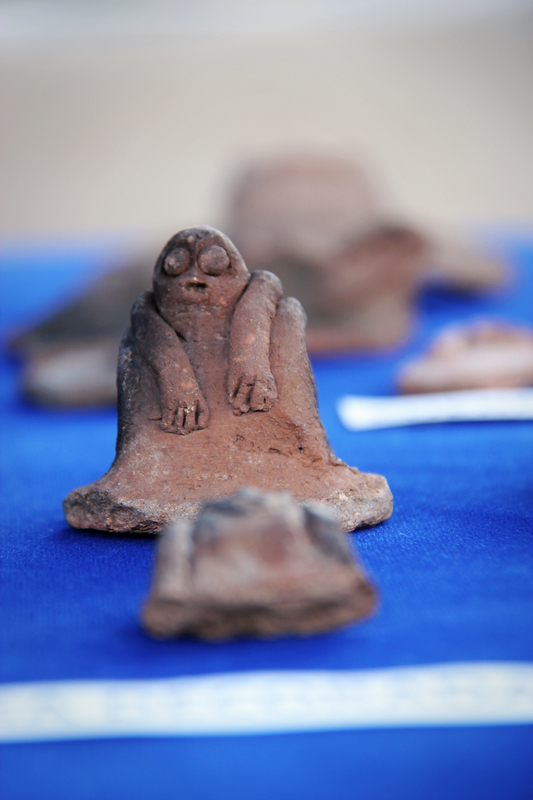 Excavators also found decorative pottery in animal and human shapes. Iridescent paint was used on some of the pottery, a material typical of Marcavalle ceramic. 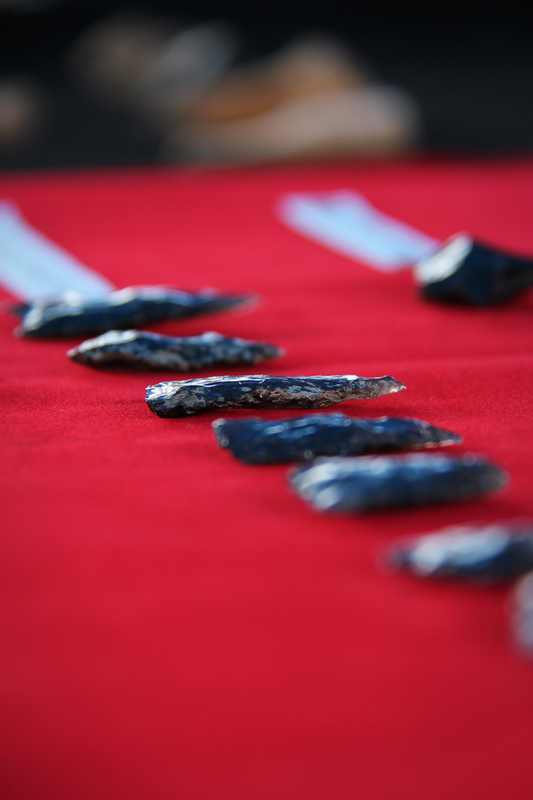 There were a number of projectile points made out of stone and obsidian, charms and tools — mortars, chisels, awls, drills — made of stone and bone. Unworked bones of camelids, deer and guinea pigs butchered for food were unearthed in the funerary context as well. Researchers found another first in another trench: a semicircular wall. The sandstone and clay mortar wall is the first architectural evidence ever discovered from the Marcavalle culture. It’s not clear what structure the wall was a part of, but archaeologists found ashes which may have been left behind from religious or cultural activity of some kind. This is a find of major importance because it geometrically expands our understanding of Marcavalle culture. Very little is known about it. 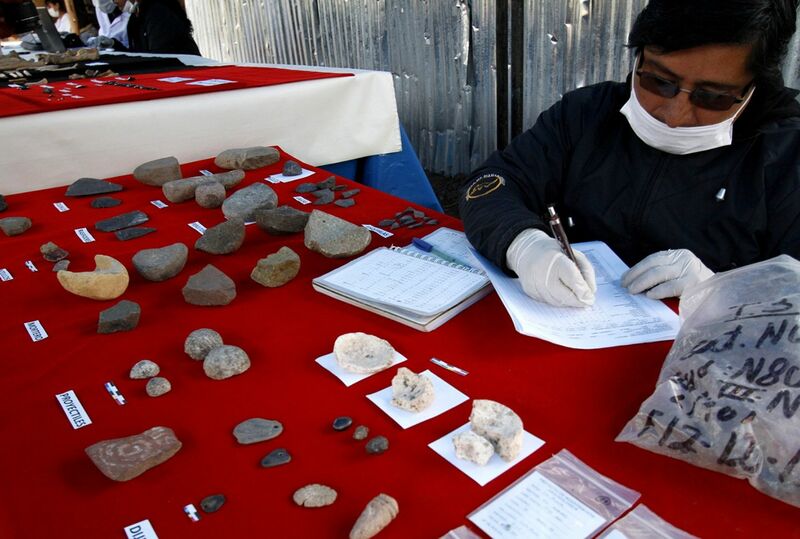 They were identified from artifacts — potsherds, stone, mainly obsidian, projectile points, worked bone and bones from stock animals — first found in 1953 in the town of Marcavalle, two and a half miles southeast of Cuzco. 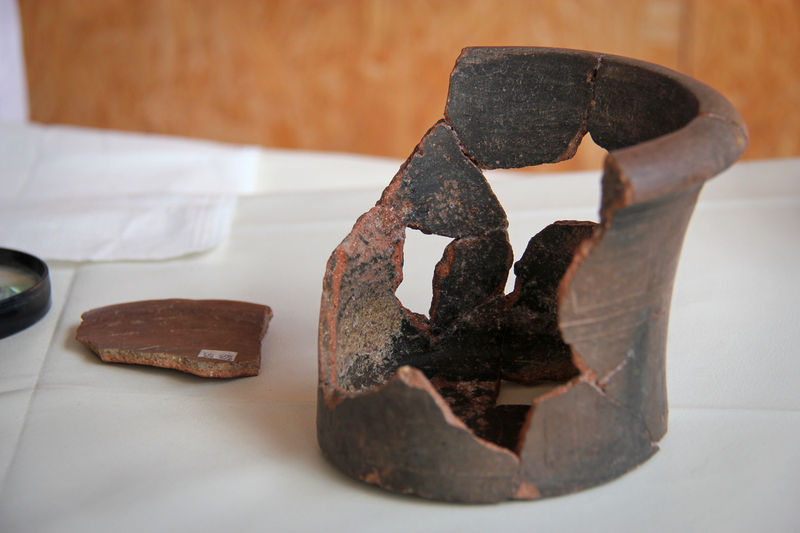 Geometric decoration on the pottery painted with a red slip over a painted cream-color background was the most common style found on Marcavalle potsherds, a style also found in the most recent excavation. From the little we do know, the Marcavalle peoples were primarily farmers who lived in relatively densely populated villages in the Cuzco Valley. Excavations in the Juvenile Center will continue through this years. 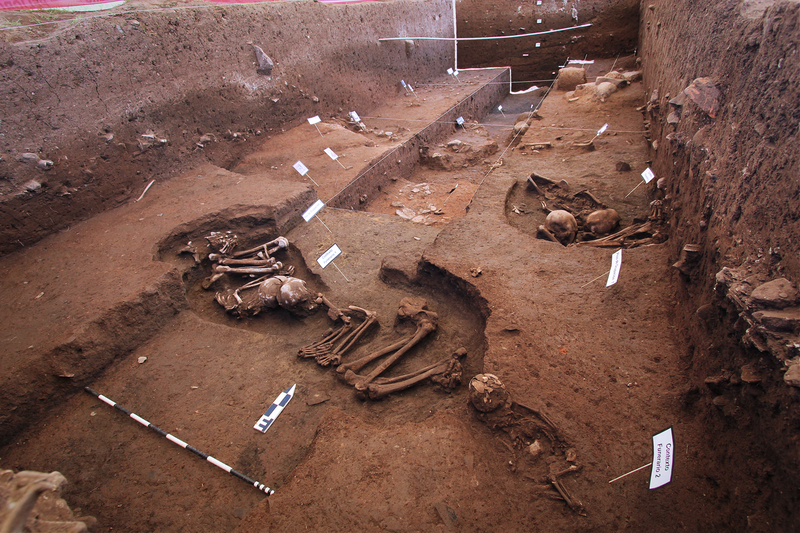 Researchers have to secure more than $350,000 to fund further archaeological explorations that may illuminate this obscure period in ancient Peruvian history. Meanwhile, all the artifacts are being conserved and recorded for later analysis from experts in a variety of relevant specialties.